1.Made of quality float glass 2.Italy fenzi painted 3.Size: 1830*2440mm, 2134*3300mm, etc. 4.Max size: 2440*3660mm 5.Thickness: 1.1mm-8mm 6.Water-proof, acid-proof, moisture-proof 7.Custom size available 8.Iso9001:2008 certificated Packed in seaworthy strong wooden crates or ending-caps with water-proof paper interleaved between each piece, suitable for long-distance sea transportation. Short on time? 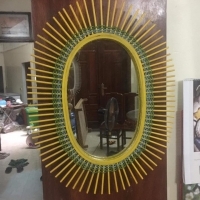 Let mirror-glass sellers contact you. It has been decades that architectural glass sheets have been utilized as a construction material. Over this time, manufacturers have achieved a significant success in terms of fabrication and finishing technology, bringing the glass properties almost to perfection. Increasingly pronounced in glass industry is the nanotechnology sector, which renders it specific and extraordinary properties in terms of operation and aesthetics, thus opening new bright perspectives for architects and designers. It would be fair to say that it was new safe multilayer glass items that helped discover most significant improvements of properties and capabilities of glass as a construction material. 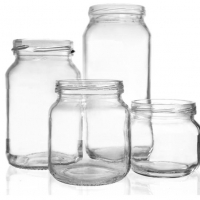 All valuable operation and technical properties of such glass are achieved by using a “sandwich” principle, i.e. by creating a multilayer composite structure with a polymer layer in between. It is still difficult to appreciate the whole significance and implications of this development. Regrettably, many issues of perfecting the technology and equipment that helps create multilayer glass (triplex production equipment) have been outside researchers’ focus of attention, thus hindering the practical development across the entire range of safety glass application. Most new properties are still unknown and require serious theoretical and experimental developments to uncover. Among these: detailed study of formation and development of multilayer glass production technology based on innovative polymer materials with a higher strength compared to existing materials, research of properties and application of hybrid structures based on new composite elements. The combination of fragile glass and plastic materials (for instance: polycarbonate and glass sandwich panels, glass and acryl tile etc.) enables to optimize the functionality of multi-layer shutterproof glass. It is beyond doubt that ongoing researches in this area will boost the improvement of existing and development of new approaches to designing and creating multilayer glass machines for industrial-scale production. It often happens that people confuse glass panes and vinyl windows. These are not synonyms, however. A glass pane is a part and nearly crucial part of a window structure. 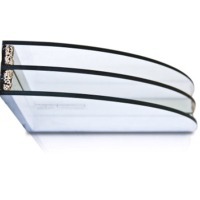 This is a translucent structure consisting of two or more glasses that are fixed (glued) together along the outline using spacing bars and sealant compounds. Main functions of a glass pane: natural lighting, thermal and noise insulation. Glass panes are categorized by manufacturing process: standard, where molecular sieve is poured into a metal or vinyl spacer, after which the glued glass sheets are plastered along the edge with silicon, isomelt, polysulfide or polyurethane sealant compound, thus providing the secondary sealing. Warm edge technology-based manufacture This is a new and promising technology. 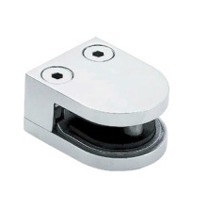 It differs from the standard technology in that instead of several production steps as in the case with glass pane it involves only two (flexible spacer application, pressing), thus greatly saving time and cost. Such glass pane is warmer than that manufactured using a standard technology. As defined in GOST 24866, glass pane are categorized as follows: by number of chambers. A space between each two glass sheets is called a chamber. Glass panes can be single-chamber (two glass sheets), double-chamber (three glass sheets) and so on. by width The glass pane width is the full width considering its glass and air part. Glass panes can be 14, 16, 18, 20, 22, 24, 28, 32, 36, 40, 42, 44 etc. mm By glass type: regular energy-efficient glass with low-emission coating (hard or soft, also known as - or I-type) noise-resistant triplex sun-screening tinted or film-coated glass shutterproof glass with a high protection class. A technology that creates a dim surface and renders it grainy and non-transparent (an operation contrary to polishing). The dimming allows drawing a picture on a glass surface. The dimming is widely used in manufacture of glass and ceramic dishware, decoration elements, imitation jewelry, souvenirs, glass furniture and other glass items. Glass dimming methods can be categorized by five groups: dimming by mechanical treatment; chemical dimming; application of dimmed coating by firing; application of dim paint coats; other dimming methods. Webson mirror is an upgrade mirror , which is perfect for makeup and shaving applications. It can be installed in your home (bathroom or bedroom), or for some hotel projects or public areas . 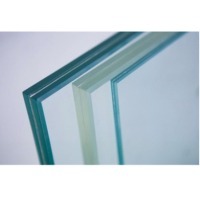 Qinhuangdao Huaguang Technology Glass Co., Ltd.
Due to its special thermal treatment, tempered glass boasts higher impact strength and freeze-thaw resistance compared to regular glass. All tempered glasses are subject to mandatory edge pre-treatment. If broken, such glass falls apart to small fragments with uncut edges. The glass tempering has the following effects:: impact strength rises 5-10 fold flexing strength rises 2-3 fold operating temperature range increases to -150 to +300°C The tempered glass has quite a broad range of applications: glass panes, multilayer glasses with different properties, all-glass partitions, staircases, stairs, hand rails, car windows etc. The tempered glass can withstand hard blows perpendicular to its plane. Despite its improved properties, however, tempered glass is still a fragile material. 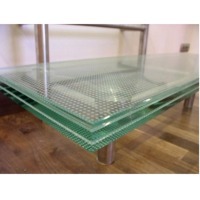 It is especially susceptible to end loads, so such glass should be installed with extreme care. 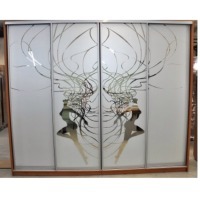 Zhongshan Rongjing Glass Co., Ltd.
Zhongshan Rongjing Glass Co.,Ltd is a wall mirror and mirrored furniture manufactory which is specialized in Design, Creation,production and sales. We eastablished in 2009, located in Sanxiang Town, Zhongshan City, near to Macau and Hongkong . We always aimed to be honest and quality first, Then we made more and more products with fashion design and high class quality. 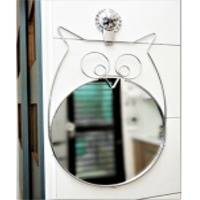 Mirror Furniture begin from Italy the 1990s, it breaked people's traditional viewpoints on mirror, and more for home decoration. It reflects the owners noble and elegant. The branches of Zhongshan Rongjing Glass Co.,Ltd including Design & Development department, sales department, wood working department, polishing department, painting department, and packing department. We have perfect management system , professional administrator, Hi-tech Production team and maturing production process. There are thousands of fashion and classical style wall mirror and mirrored furniture. Follow our traditional craft . Drawing on europ and american new design, blending classical and morden design, to be popular with local and overseas market. Our main market including Europ,American, Austrialia, Middle East and so on. We always keep high reputation in the Mirrored furniture line. We also insist on ¡°Honest and trustworthy, customer first ¡°, commit to improve ourselves professioal standards according to customer¡¯s demand. 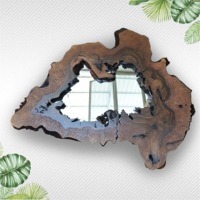 Zhongshan Rongjing Glass Co.,Ltd is a wall mirror and mirrored furniture manufactory which is specialized in Design, Creation,production and sales. We eastablished in 2009, located in Sanxiang Town, Zhongshan City, near to Macau and Hongkong . We always aimed to be honest and quality first, Then we made more and more products with fashion design and high class quality. Mirror Furniture begin from Italy in the 1990s, it breaked people's traditional viewpoints on mirror, and more for home decoration. It reflects the owner¡¯s noble and elegant. The branches of Zhongshan Rongjing Glass Co.,Ltd including Design & Development department, sales department, wood working department, polishing department, painting department, and packing department. We have perfect management system , professional administrator, Hi-tech Production team and maturing production process. There are thousands of fashion and classical style wall mirror and mirrored furniture. Follow our traditional craft . Drawing on europ and american new design, blending classical and morden design, to be popular with local and overseas market. Our main market including Europ,American, Austrialia, Middle East and so on. We always keep high reputation in the Mirrored furniture line. We also insist on ¡°Honest and trustworthy, customer first ¡°, commit to improve ourselves professioal standards according to customer¡¯s demand.